Welcome to the NEW Troop 357 website. 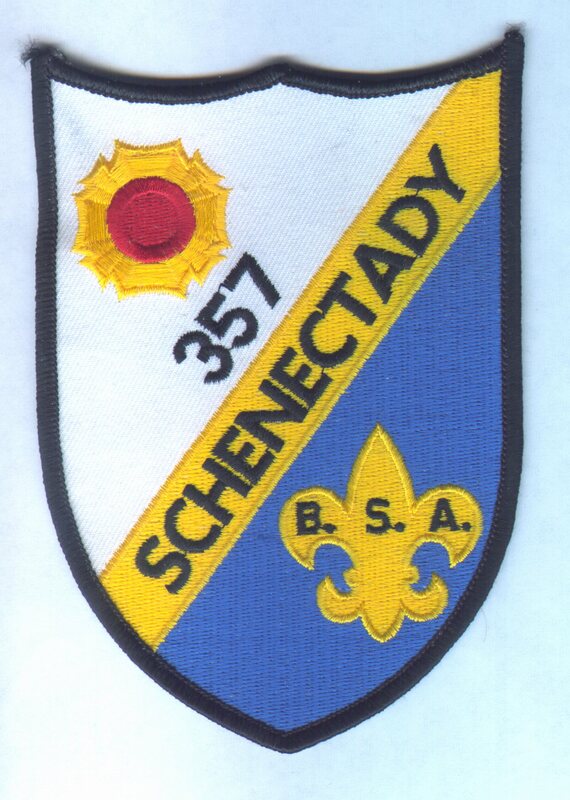 We are a VERY active Troop located here in the Rotterdam-Schenectady Area of NY's Capital Region. Troop 357 has been in existence since May of 1963, serving our Community now for almost 40 years. The Challenge of progressive Rank Advancement. Troop 357 Scouts set their own pace, where all activities/events/campouts are decided upon by our youth leaders. They constantly strive to "Push the Envelope" as to what a Scout Troop Can do in the New Millennium. The only limits in Troop 357, may be your own mind. The CHOICE is YOURS! Please feel free to click on the links below, and see if you are "up to the CHALLENGE." Troop 357 accepts Webelos Crossing over, Scouts who my wish to try another Troop, and Youth from our Communities. Troop 357 Membership does not represent one community, as our members come from Rotterdam, Carmen, South Schenectady, Mt. Pleasant, Central Park, Woodlawn & Scotia. Virtually ALL over the County. Our membership finds that it is more than WORTH the effort traveling a few extra minutes, to a high quality Troop Program. "ATTITUDE IS THE KEY TO SUCCESS!"